In this week’s History of Magic, we shine the spotlight on Derren Brown, who is regarded by many as the most extraordinary entertainer alive today. Derren is possibly one of the most intriguing living performers this century has ever seen. The English Illusionist mentalist was born on February 27th 1971 in London. Brown was privately educated at Whitgift School in South Croydon, then studied law and German at Bristol University where he witnessed a hypnosis show by Martin Taylor. This was the stimulus that inspired Derren to decide on a career as a magician hypnotist. During his undergraduate years he began to give stage shows at the university, and did close up magic at local bars and restaurants. At the same time he became a prolific writer on all things magical that soon came to the attention of Objective Productions who launched his first show, “Mind Control”, in 2000 that was an instant success. After further Objective Production shows Derren Brown established his own very successful Production Company and went on to establish himself as one of the world’s premier, psychological performers. Derren V. Brown revolutionised the art of mentalism and lifted it out of its traditional format into a whole new concept of exciting entertainment. He claims that he does not possess any supernatural powers or extraordinary gifts, whereas his performances often expose the methods of those that do, like faith healers and mediums. He makes it very clear that his performances are simply demonstrations using psychology, intuition, hypnosis, interpretation of body language and suggestion. He also utilises the conjurors tools of misdirection, sleight of hand, cold reading and showmanship. He has also developed techniques that explore the traits and characteristics of his subjects by looking into their personalities. He seems able to tap into people’s emotions utilising their fears, anger, motivation, romantic inclinations etc. He appears able to read people in a most uncanny manner that some lay people say is direct mind control. He has a compelling stage presence and is always in full control. Derren Brown has an extraordinary effect on his audiences, like when he predicted the winning National Lottery Results, persuaded a group of strangers to rob a security van, and played Russian roulette on live television. He is able to quote whole pages from a dictionary and can duplicate a secret drawing almost immediately after it is drawn unseen. 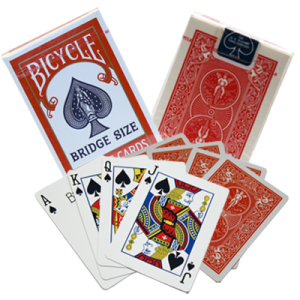 It has also been rumoured that he has been banned from Britain’s casinos because they feared he would be able to read the cards. After a conservative Christian upbringing, Brown has embraced atheism. He is a man of many talents, an intellectual in the field of mentalism and psychological magic and illusions. He leaves his audiences asking themselves, “How in the world did he do that?” It’s no wonder why his career has been successful both on stage and on television. One of Brown’s most successful TV performances was where for over some weeks, he told several members of the public that he had a foolproof system for choosing the winners of horse races and influenced them to bet large sums of money on the system. This was based on a confidence trick where Brown merely used different people to cover all possible outcomes. Derren also hosted a séance in East London with students from Roehampton University, where he took them through various scary scenarios that appeared to be real. He even convinced a group of pensioners to steal an expensive painting owned by a noted art dealer collector while telling the collector the exact time and date it would be stolen, and the pensioners succeeded. In the United States, Brown convinced five leading figures that he had powers in their particular field of expertise: Christian evangelism, alien abduction, psychic powers, New Age theories, and communication with the deceased. He staged a very convincing demonstration using suggestion and mind control. He also successfully eliminated a person’s phobia of flying that led to that person taking control of aircraft controls when it was suggested that the pilot was incapacitated. 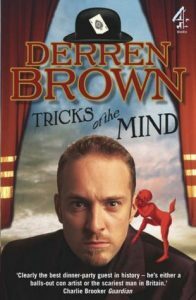 Derren Brown has written a number of books, some for magicians and others for lay people. These include Absolute Magic: A Model for Powerful Close-Up Performance and Pure Effect, a more traditional book of trickery and techniques offering an insight into some of the very methods that Brown uses. Tricks of the Mind, intended for the general public, also describes some of the techniques he uses and includes an explanation about hypnosis and the psychology of magic. The book also covers supernatural beliefs and scepticism and gives a detailed autobiographical insight into Brown’s transition from Christianity to atheism. Quite an intriguing book by a fascinating author. 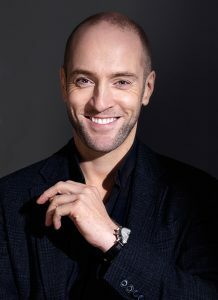 Derren Brown has also produced a number of publications and lecture series specifically for conjurors, offered in written word, audio, and DVD format. The Devil’s Picture Book and his audio CD Tricks of the Mind offer even more insight into the creativity of Brown’s mind. Brown is no stranger to controversy and he has been publicly taken to task for some rather bizarre and unsuitable-for-public-consumption scenarios on television. His séance performance received 487 complaints and his Russian roulette act made some people claim that he was against gun control, which they said tempted those with suicidal tendencies.